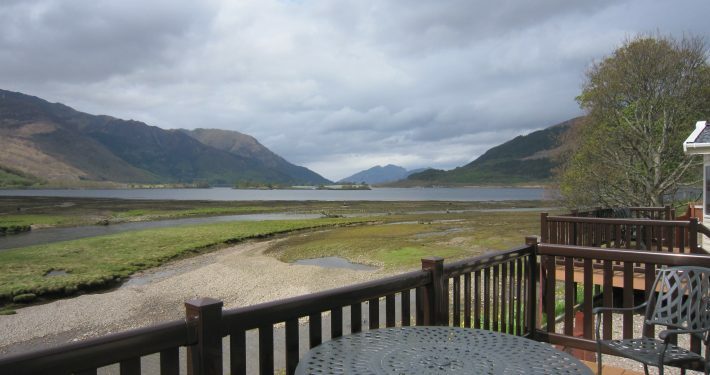 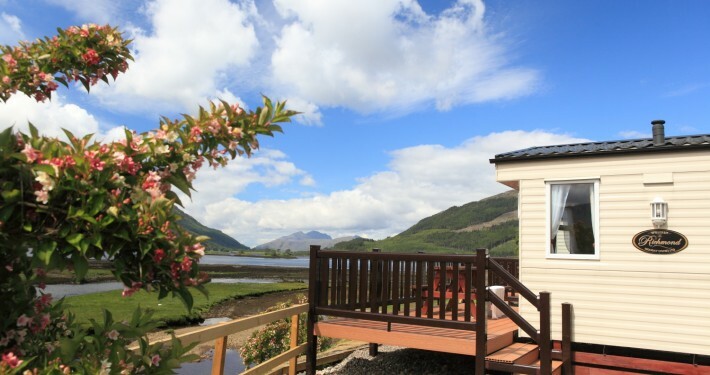 We have four caravan holiday homes for hire which are situated on the banks of the River Coe with uninterrupted views over Loch Leven with the mountains of Glencoe towering behind. 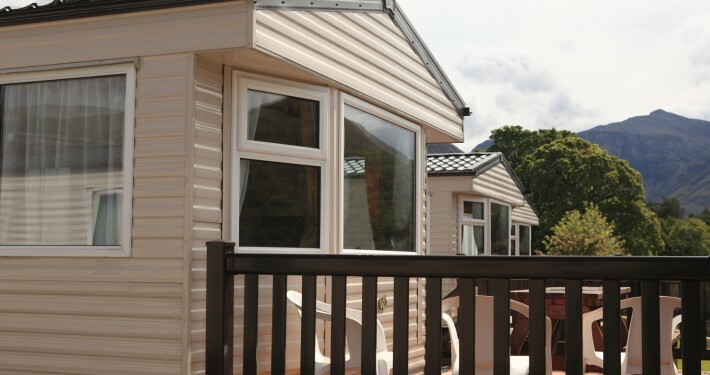 Each caravan holiday home has a lounge/dining area with colour television/DVD, a twin bedded bedroom, double bedroom, and a fully serviced bathroom with wc, wash hand basin and shower unit. 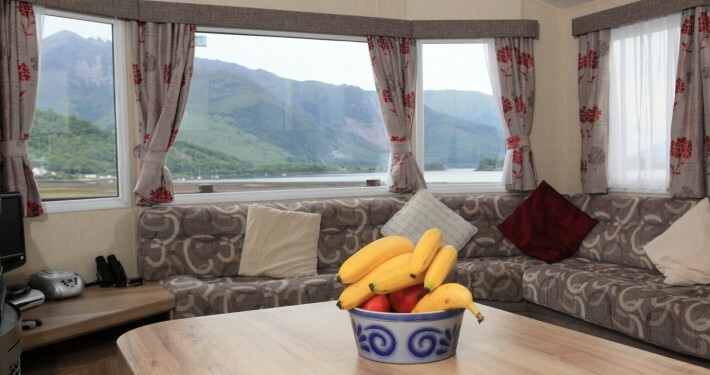 Digital TV has now been installed in each holiday caravan. 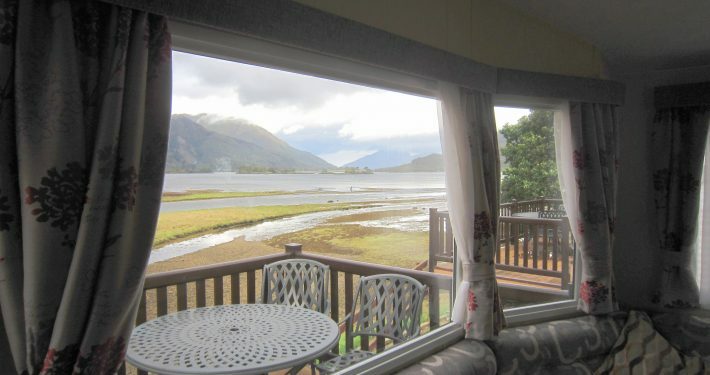 Fully double glazed and central heating in each unit. 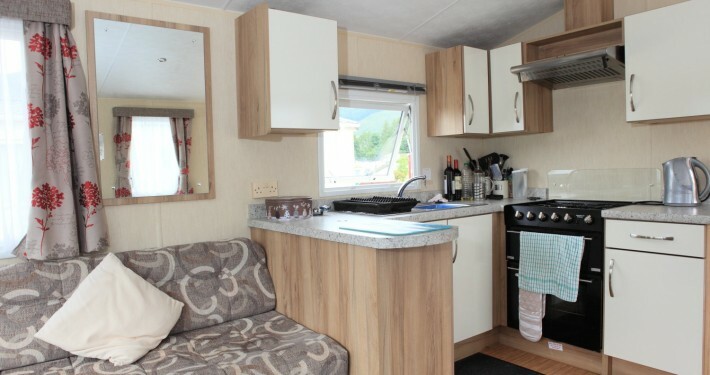 With two of our caravans available to take your dog with you on your holiday. 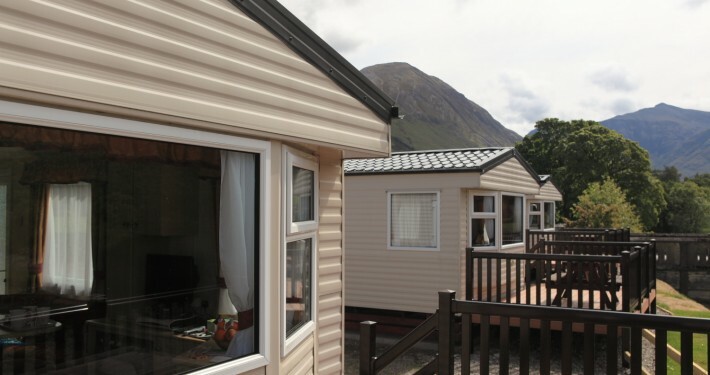 Wireless Internet (WiFi ) access is available in our holiday caravans. 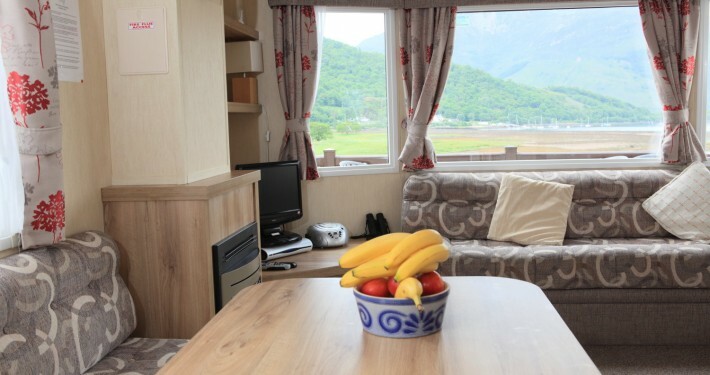 Our holiday caravans in Glencoe make a good choice for a family of four visiting the Highlands of Scotland. 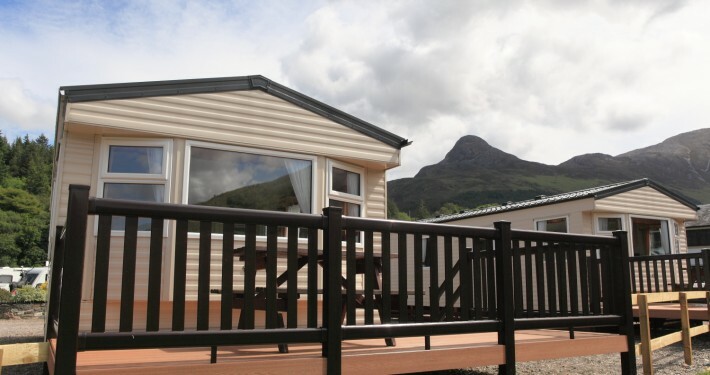 We have installed decking around our holiday caravans to provide a great outdoor space to relax on and enjoy the fabulous scenery. 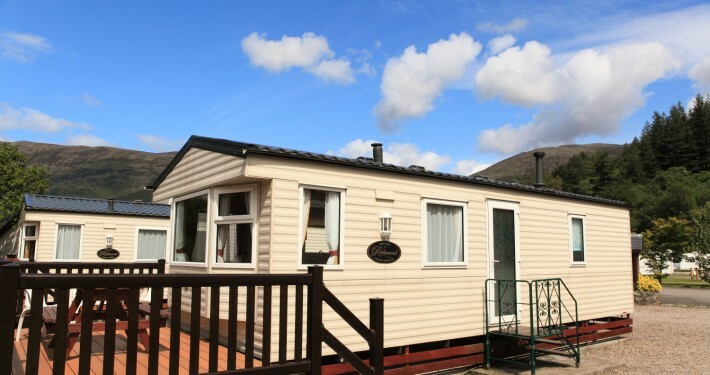 Our Holiday Caravans are now all NON SMOKING. 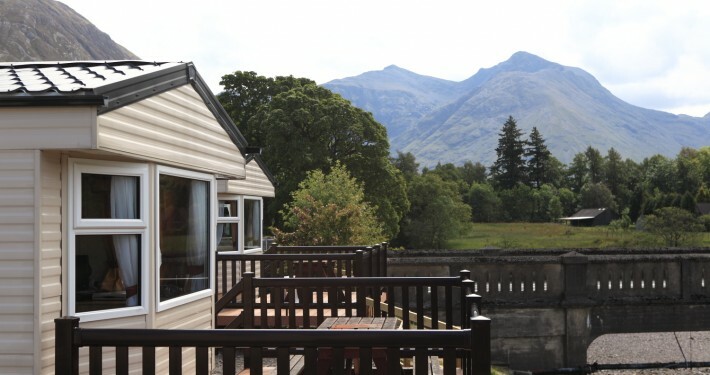 For an affordable holiday in the Highlands we believe these modern caravans are perfect – and they have such an amazing location surrounded by mountains.